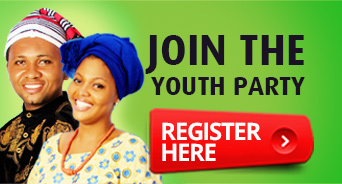 The Youth Party is made up of individuals and groups that seek to serve and unite Nigerians. Our goal is to develop and improve the standard of living of all Nigerians. The Youth Party believes in service oriented political leadership for a new Nigeria. Nigerian politics has largely been driven by self-interest at the expense of public service and national interest. We are devoted to ensuring the provision of basic social amenities for all Nigerians. Our goal is to close the current wide gap between the rich and the poor, and to ensure that there is a safety net for the poor in terms of basic social amenities like health care, social housing and decent basic education. eschew money politics, bribery, violence, rigging, repression and corruption. Currently, the high stakes for the control of power, amassing of personal wealth and the advancement of the interest of extended families do not encourage detachment, equanimity or commitment to the rules of democracy. The Youth Party is focused on true democratic principles and values, and not what the system can produce for the individual in power. We are committed to, and will advance the democratic system and transparency. Nigerian youth have shown exceptional capacity in several areas of public affairs and private business. Nigerian youth have also taken a keen interest in governance and affairs of their fatherland. However, the political space is too restrictive for the Nigerian youth to play a leading role in politics. Our goal is to pave way for new political leaders who have a deep sense of public service and commitment to high standards of integrity and austerity in place of acquisitiveness and exhibitionism. The Youth Party is a New Generation Party for One Nigeria. 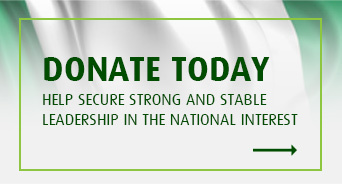 We are dedicated to forging unity and serving all Nigerians by adhering to genuine democratic values. Currently, Nigerians are being done a disservice by the divisions along ethnic or religious lines. The Youth Party seeks to change the status quo with the support and participation of all Nigerians, united under a common goal for the advancement of a new Nigeria. © 2018 Youth Party. All Rights Reserved. We have a regular, informative newsletter Please type in your email below and click subscribe to receive Youth Party updates.